Jay standing in front of his shop Cavalier, filled with carefully curated handsome bespoke, antique and vintage items for the home. From Jay, I truly believe that if you surround yourself with beauty, you will be a happier person for it. So very true! 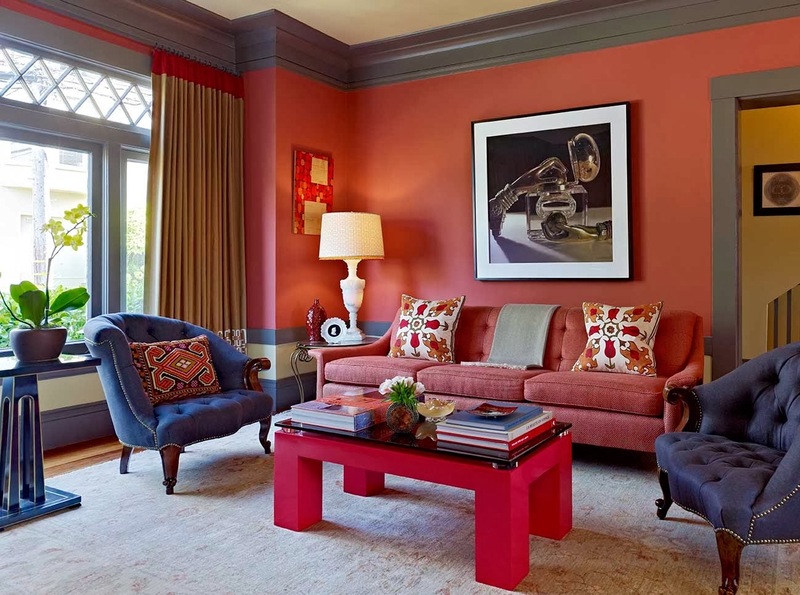 Jay Jeffers, a designer known for his bold use of saturated color, yet is a genius at the soft monochromatic room, because of the exciting elements he places throughout. As Diana Vreeland said, The Eye has to Travel, and yours will, alighting on unique and memorable pieces in each and every room Jay designs. Myself, I have counted well over a hundred precious finds that could easily drop from heaven and land beautifully into my home! Jay opened his design business 14 years ago and has been a rising star in this highly competitive business ever since. 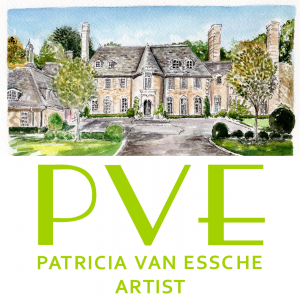 He is genuine, understated , and has the panache to bring his clients dreams to life! The great Albert Hadley has been an influence and inspiration to Jay. Jay Jeffers new book, Collected Cool, The Art of Bold, Stylish Interiors , Forward by Jamie Drake. Published by Rizzoli and written with Alisa Carroll. Photography by Michael Millman. This stunning book is divided into four sections, plus one about Cavalier the shop he and partner MIchael Purdy have made into an experience for the senses. 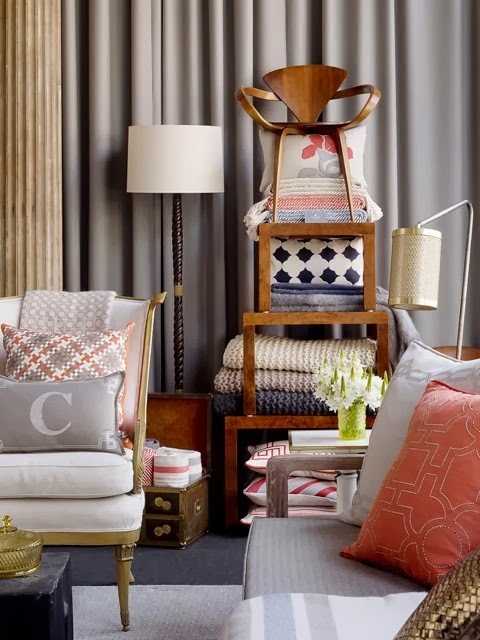 He begins with the section Collected Cool, rooms thoughtfully layered over time through a multitude of unique details. 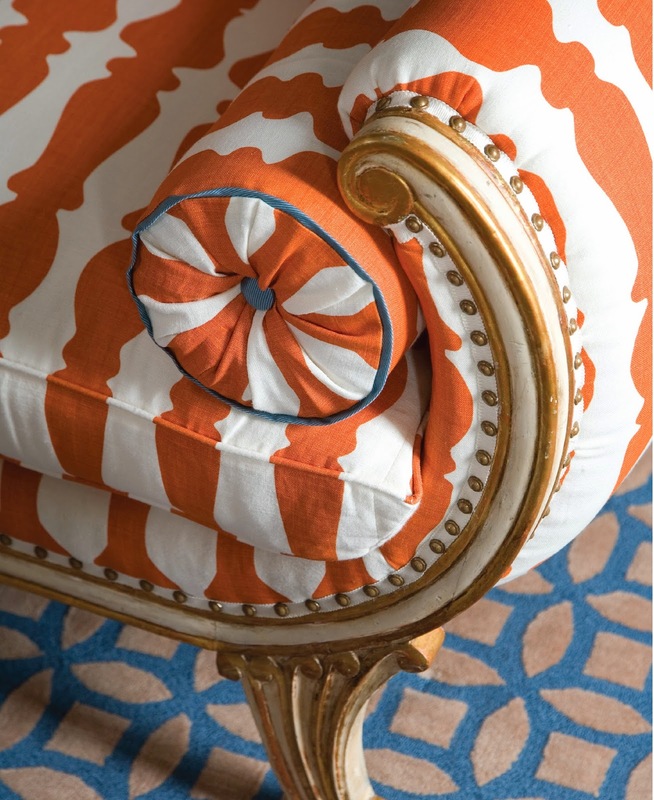 This image says it all An antique settee covered in a fresh icomic fabric, jeweled with gilt, scrolls, nailhead trim, bolstered with piping in contrast and a luxe throw casually draped. Resting on a Santorini blue carpet. Can you picture yourself reading here with a glass of wine and Jays fabulous book!? Brilliant unadorned windows with painted moldings, the daybed generously proportioned and sumptuous. The sleek contemporary table. A masterful mix of luxe finishes, sumptuous materials, sophisticated glam! Of the many glorious master bedrooms featured in this tome, this is the one Jay created perfectly for my future villa at the sea. The Bespoke headboard, whimsical, yet elegant. Birds fly across the Handpainted Fromental wallcovering. Murano glass lamps bring even more artistry! 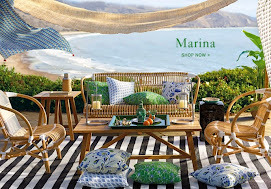 Ultimately Fine Art, accessories, and personal objects are the souls of a room. Each piece brings its own energy to a space;it can set the mood or disrupt it in an unexpected but inspiring way. You will be thrilled at the collected works of art throughout the pages of this incredible book! There are Montages of artfully done elements, do take time to appreciate the details. 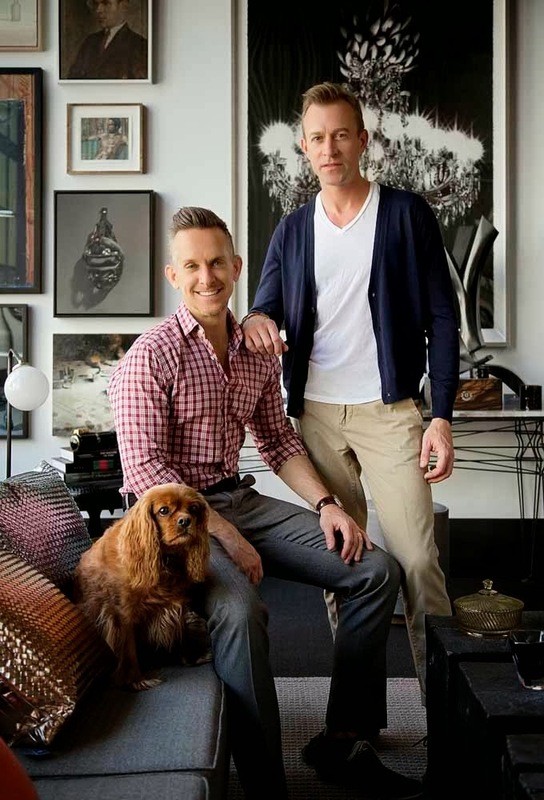 Jay also invites us into two of his and partner Michael Purdy's homes and what a treat! 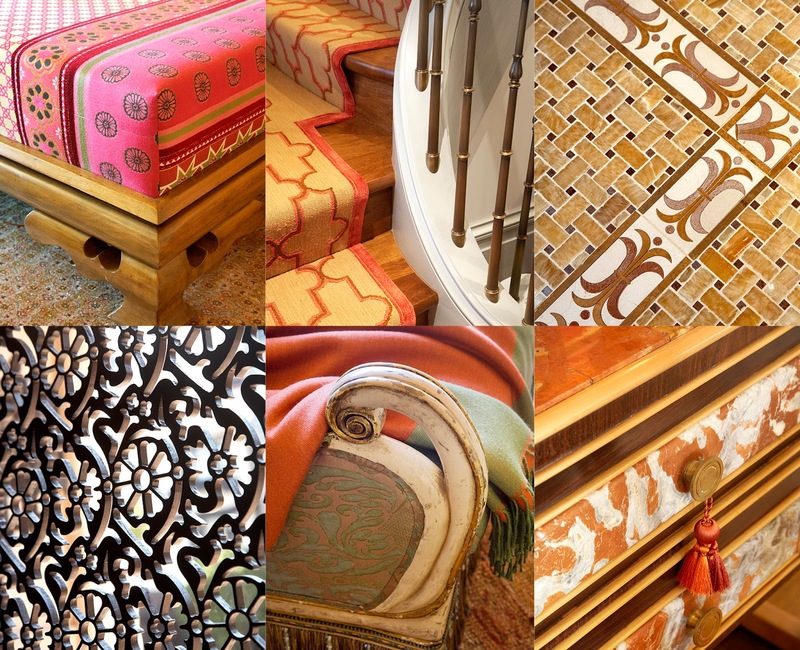 The Cavalier attitude is Bold uncommon furniture, art and accessories.You will see many of Jay's own bespoke designs at Cavalier The shop is Thoughtful, Inspiring, and Adventurous! Thank you Jay for this fabulous Springtime offering that will have us cherishing it throughout the year! Bravo! 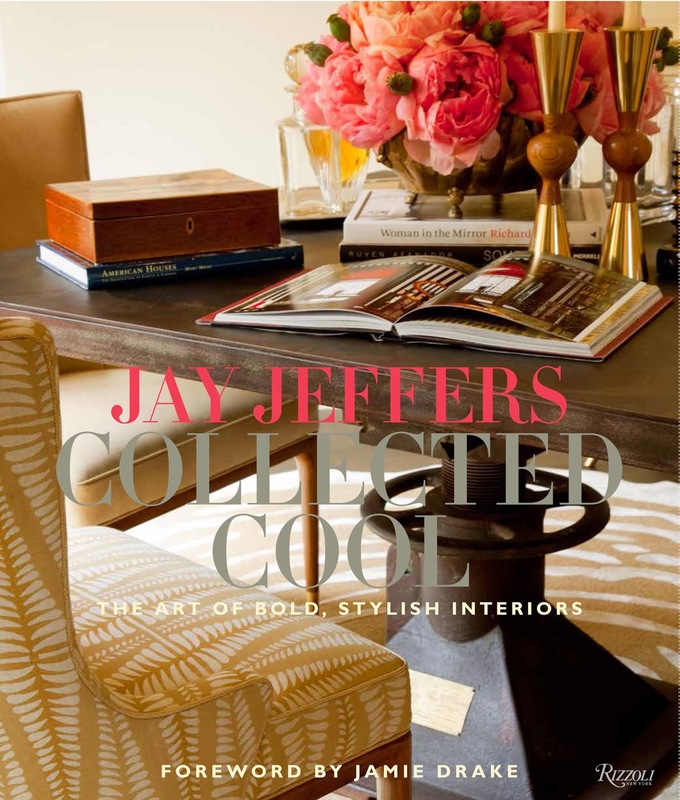 Please purchase his book Jay Jeffers Collected Cool as it is a collectors item for your design library! Please take time to peruse previous features in the Archives I know you will enjoy! I love Jeffers work--and his dog! The book looks like a good one! He is such a talented designer! 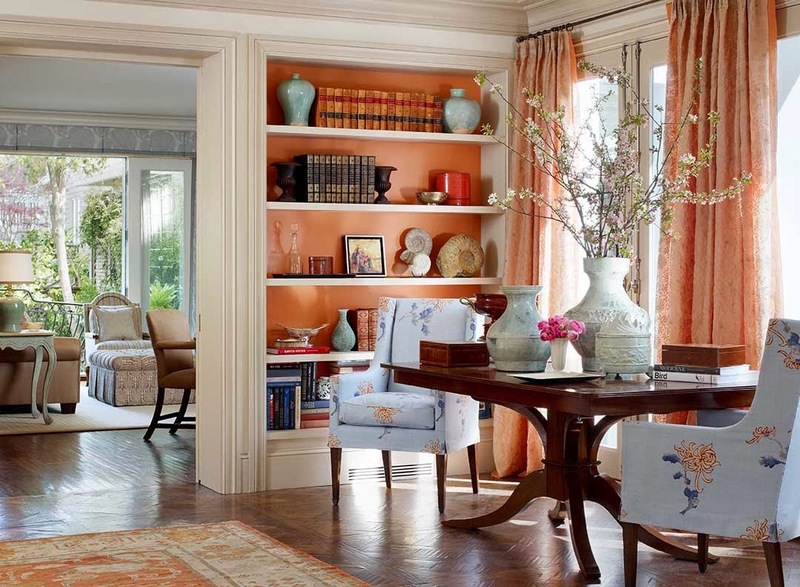 Love the orange, and the settee arm is one of my favorites. My first thought was "Isn't he spiffy!" Love his work too. 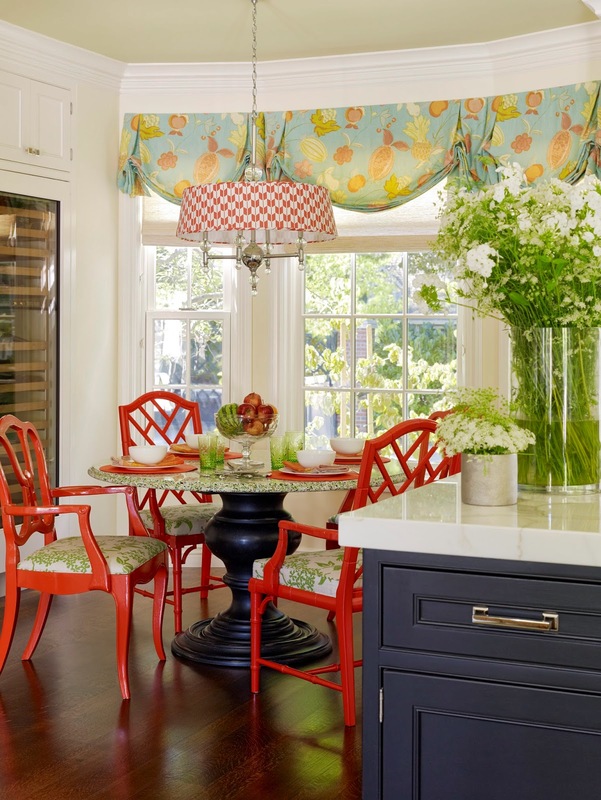 Love the kitchen...so joyful and fun! Thanks for the feature Karena!! Love his style. Thanks Karena! Oh, what a handsome pair, and such style to frame their lovely selves!!!!!!!! Karena, you always feature such posh and fabulous artists. THANK YOU! And you too my dear? Weather has been capricious for you too? We as well had a lovely melt-down with at least 4 days of 40+, enough to melt things. But yesterday? 20s. This coming Tuesday? SNOW! So Mother Earth cannot make up her mind! How fabulous!! I also have to say your facebook Photo is so lovely too! You look great I hope you are feeling as good as you look my friend! His style is so my style! I hope you're doing well! Eating my heart out over the dog and those red chairs, I left some in Florida.. Oh these guys have style..
From your description and the pictures it looks obvious Cavalier must be a wonderful shop, will keep it on the "to visit" list when in that part of the world. Have a great weekend. (Kansas City weather looks good after an intense winter). 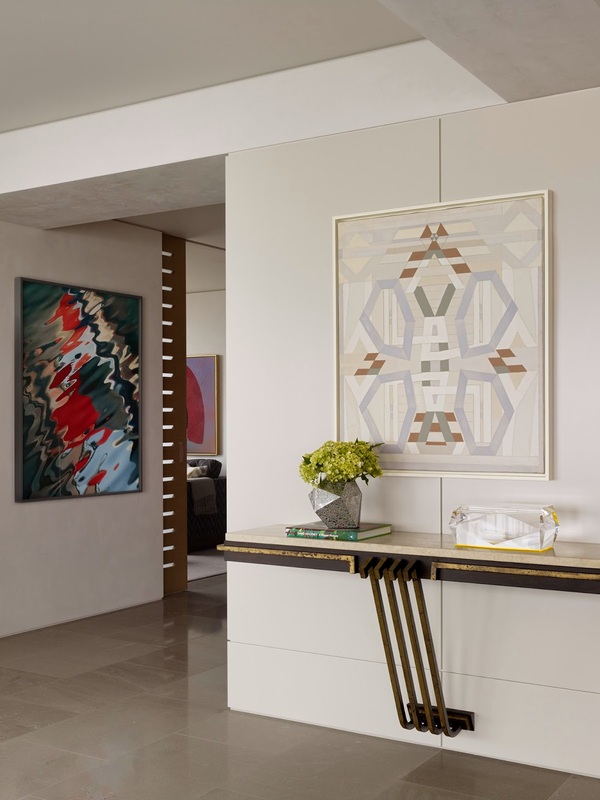 I adore period pieces when it comes to design, but Jay's magical touch with colour and form make these pieces and the rooms in which they sit,contemporary, with a bold wow factor". I love his work and his store is amazingly beautiful. What a fabulous cover! And such brilliant usage of colors. I definitely need this book for my design library. Cheers! !